Catering design, fit out and equipment experts IFSE expands their experienced design team with the addition of Federico Biggio and Jamie Abrahams. Having 5 years’ experience working for architectural design and animation companies, Federico (Freddy) joins the design team with sought-after skills in Revit and 3DS Max software. This design software expertise, along with his understanding of the latest design trends, makes Freddy an ideal addition to the team on the journey towards becoming BIM Level 2 compliant and to meet our client’s requirements for high quality visualisations. With first hand kitchen experience Freddy can also apply direct knowledge to every design, ensuring that the chef and his team are happy with the end result. Jamie Abrahams also joins IFSE with a wealth of knowledge in BIM and Revit software, having previous experience working within the construction industry. Most notably working on the Fulham Broadway Shopping Centre’s BIM model reconstruction, and the Hammersmith town hall development. His enthusiasm and particular software knowledge will further add to IFSE’s BIM capabilities. “With the design team at the very core of our business, we are now ready to meet the requirements of those clients who require their catering design as a 3D model and who look to IFSE for that specific knowledge and competence”, Julia added. 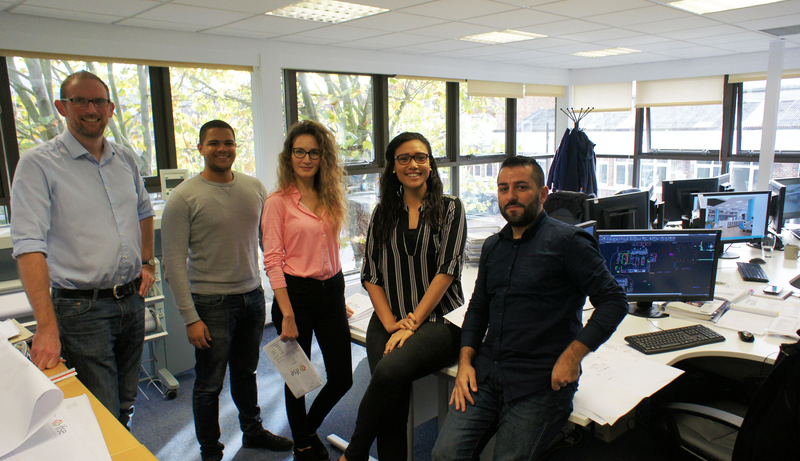 Jamie and Freddy join the already award-winning team; Ben Shepherd, design office manager, Madalina Rosca, interior design manager and Sally Medina, experienced kitchen/architectural CAD designer.